This is a list of my personal favorite gun forums to read on a regular basis. There are other, more popular ones out there, but I’ve chosen these ten because they tend to be the most well managed, polite (with maybe one exception), and knowledgeable content driven sites around. 1.) Gunandgame.com – This was literally the first gun forum I ever joined. 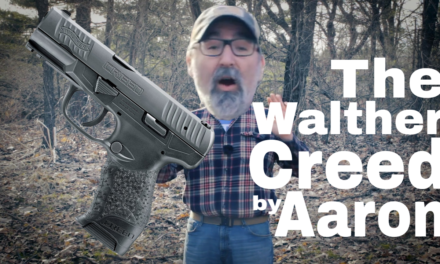 It is billed as the “friendliest gun forum on the internet’, and I absolutely agree with it. There are many, very understanding, long standing forum members who are patient, knowledgeable, and willing to help with just about any question. The ‘fudd’ level on this web page is medium, so beware when talking about modifying your mosin. 2.) Thehighroad.org – THR is one of the best ‘all around’ forums I’ve come across. They have a wide variety of members with just as much variety in experience and expertise. If you want to find a good place to learn everything about everything, this is a good place to start. 3.) Thefiringline.com – TFL is much like THR, in that it’s a great resource for many subjects, however, there are a few other sections within TFL that make it stand out a bit more. There are quite a few tinkerers on this forum and they have their own ‘skunkworks’ section where they discuss pet projects they have. There is one thread in the ‘art of the rifle: general’ section that documents user Ed Hubel’s journey into insanity called the 12GA Rifle From Hell. It is exactly that, definitely a good read. 4.) Reddit.com/r/guns – Though VERY rough around the edges, /r/guns is home to 143,000 members and is probably one of the larger gun forums around. Though many users here are used to ‘chatspeak’, once you understand the playful and mostly sarcastic nature of it, /r/guns becomes a very fun place to play around and let off steam as immaturely as possible. Everyone there is an extreme expert and you should do whatever they tell you…trust me. 5.) Calguns.net – Calguns is the last great line in the sand to our poor oppressed friends in the southwest. An activist and political bastion for the gun owners of california, Calguns has put more legal footwork into fighting the evil forces of Feinstein in the golden state than just about any other organization. It is a great general forum as well, but the rest of the free country has Calguns to thank for their herculean efforts. 6.) TheKtog.org – KTOG, the Kel-Tec Owners Group, is a great company-specific forum. There are a lot of kel-tec owners (and consequently a lot of people with some QC related issues), and KTOG is a great place to go show them off, talk about shooting them, upgrading and repairing them. KTOG is also one of the forums that has some very involved and insightful members. I have started quite a few threads there that went on for MANY pages with extremely well thought out responses and suggestions. 7.) 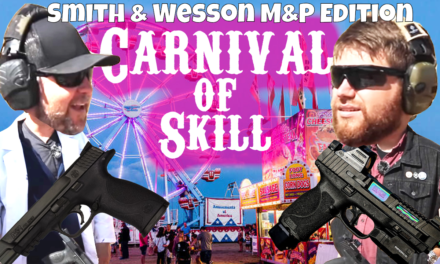 Castboolits.gunloads.com – This is THE forum you want to go to if you are interested in reloading. Period. The sheer amount of information contained on this board in regards to every aspect of reloading (especially lead boolits) is incredibly daunting. The members of this topic specific forum are a HUGE repository of information that, if you were ever interested, you should spends a few weeks reading because that’s how long it will take you to start to get a good grasp of what you need to learn. I am still planning on reloading some 180-200gr 7.62×39 cast boolits for my sks…it’s gonna happen. 8.) Glocktalk.com/forums – Glocks…glocks, glocks, glocks, glocks, glocks, and more about glocks. Accessories, upgrades, maintenance, training, basically anything you can think of about, around, inside and outside of glocks, Glocktalk.com is all about it. 9.) Bullpupforum.com – Though bullpupforum is one of the smaller forums around, they are one of THE most focused and have some of the most active members of any forum. 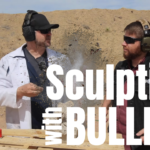 BPF hosts a yearly bullpup shoot where they invite all the firearm industry companies to come and demo their products for their forum members. Along with that, many popular YouTube Channel personalities show up to shoot and show off their own bullpups. There are TONS of custom built rifles and how-to’s on this forum and it’s definitely one of my favorites. 10.) akfiles.com/forums/ – AKfiles is a great firearm specific forum if you’re interested in Eastern Bloc firearms. Though they do focus on their namesake, AKfiles covers all the different Russian variants from SKS’s, SVD’s, RPK’s, Mosins, and every variant of the AK. If you want to know everything about the signature Russian rifle and everything related to it, this is the place to go.